The GEAR UP Program is a critical component of the Departments efforts to improve college access and completion for students who have been traditionally underrepresented in post-secondary education. The Department believes that GEAR UP projects can play an essential role in improving post-secondary outcomes of their participants by placing a greater emphasis on increasing readiness for success once students reach the post-secondary level. GEAR UP grantees can improve college readiness by identifying at an early age students likely to be referred to remediation at the post-secondary level and by engaging in strategies to address their needs at the secondary level, limiting their need to take remedial courses in college. For these reasons, this notice includes a competitive preference priority intended to encourage applicants to propose GEAR UP projects that address remediation strategies designed to help students address deficiency gaps well before they graduate and enroll in post-secondary education. The objectives of the GEAR UP Program are: (1) to increase the academic performance and preparation for postsecondary education of participating students; (2) to increase the rate of high school graduation and participation in postsecondary education of participating students; and (3) to increase educational expectations for participating students and increase student and family knowledge of postsecondary education options, preparation, and financing. State grants - Competitive six-year matching grants that must include both an early intervention component designed to increase college attendance and success and raise the expectations of low-income students and a scholarship component. Partnership grants - Competitive six-year matching grants that must support an early intervention component and may support a scholarship component designed to increase college attendance and success and raise the expectations of low-income students. 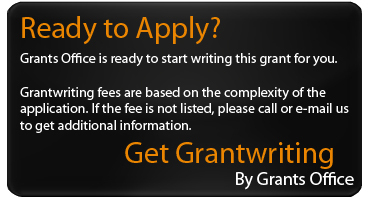 Note: this summary covers only the "Partnership grants". Absolute Priority: For FY 2018 and any subsequent year in which the department makes awards from the list of unfunded applications from this competition, there is one absolute priority with several categories. To correctly meet the absolute priority, applicants must must address at least one activity in at least three of the four categories. Addressing additional activities or addressing all four categories will not increase an applicants score, but applicants may choose to do so. Developing or implementing pathways to recognized post-secondary credentials focused on career and technical skills that align with in-demand industry sectors or occupations. Creating or expanding innovative paths to a recognized postsecondary credential or obtainment of job-ready skills that align with in-demand industry sectors or occupations, such as through career pathways. Creating or expanding opportunities for students to obtain recognized postsecondary credentials in science, technology, engineering, mathematics, or computer science. Utilizing technology for educational purposes in communities served by rural local educational agencies or other areas identified as lacking sufficient access to such tools and resources. Fostering knowledge of the common rights and responsibilities of American citizenship and civic participation, such as through civics education consistent with section 203(12) of WIOA. Category 4:Fostering Knowledge and Promoting the Development of Skills That Prepare Students To Be Informed, Thoughtful, and Productive Individuals and Citizens. Projects that are designed to address supporting instruction in personal financial literacy, knowledge of markets and economics, knowledge of higher education financing and repayment (e.g., college savings and student loans), or other skills aimed at building personal financial understanding and responsibility. Approximately $24,500,000. was available in total funding for FY17. Previous years' award information is available at: http://www2.ed.gov/programs/gearup/awards.html. For partnership grantees, activities must include: providing financial aid information for post-secondary education, encouraging enrollment in rigorous and challenging coursework in order to reduce the need for remediation at the post-secondary level, and implementing activities to improve the number of participating students who obtain a secondary school diploma and who complete applications for and enroll in a program of post-secondary education. Activities may also include: mentoring, tutoring, supporting dual or concurrent enrollment programs that support participating students in science, technology, engineering, or mathematics (STEM); academic and career counseling; financial and economic literacy education; and exposure to college campuses. The percentage of GEAR UP students who pass Pre-algebra by the end of 8th grade. The percentage of GEAR UP students who pass Algebra 1 by the end of 9th grade. The percentage of GEAR UP students who take two years of mathematics beyond Algebra 1 by the 12th grade. The percentage of GEAR UP students who graduate from high school. Note: For each GEAR UP project, the high school graduation rate is defined in the States approved accountability plan under Part A of Title I of the Elementary and Secondary Education Act of 1965, as amended (ESEA). The percentage of GEAR UP students and former GEAR UP students who are enrolled in college. The percentage of GEAR UP students who place into college-level Math and English without need for remediation. The percentage of current GEAR UP students and former GEAR UP students enrolled in college who are on track to graduate college. The percentage of GEAR UP students who complete the Free Application for Federal Student Aid. The percentage of GEAR UP students who are on track for graduation at the end of each grade. The percentage of GEAR UP students who are on track to apply for college as measured by completion of the SAT or ACT by the end of 11th grade. The percentage of parents of GEAR UP students who actively engage in activities associated with assisting students in their academic preparation for college. One or more degree granting institutions of higher education (IHE). Partnerships may also contain not less than two other community organizations or entities, such as businesses, professional organizations, State agencies, institutions or agencies sponsoring programs authorized under the Leveraging Educational Assistance Partnership (LEAP) Program, or other public or private agencies or organizations. Applications are to be submitted by July 13, 2018. A similar deadline is anticipated, annually. The estimated funding available for the new GEAR UP Partnership awards is $64,833,000. Awards range from $100,000 to $7,000,000. Average award is $1,200,000. The maximum award is $800 per student per year. Up to 54 awards will be granted. Project period is either 72 months or 84 months. A cost share of 50% is required (i.e. 1:1 match of non-federal funds for every federal dollar requested).